Heeeeey guys, are you loving summer?! I, as I am every summer, am in love. I know everyone is complaining about how hot it is but this is what I live for. I have the top off the Jeep, I’ve been hiking several times a week, my tan is looking amazing. Why can’t it be summer all the time? Just kidding, I live in central Texas. It IS summer all the time. Except that one month last year when the Jeep’s window zipper was broken. That month was cold. I grew up in south Alabama so I’m an iced tea girl. 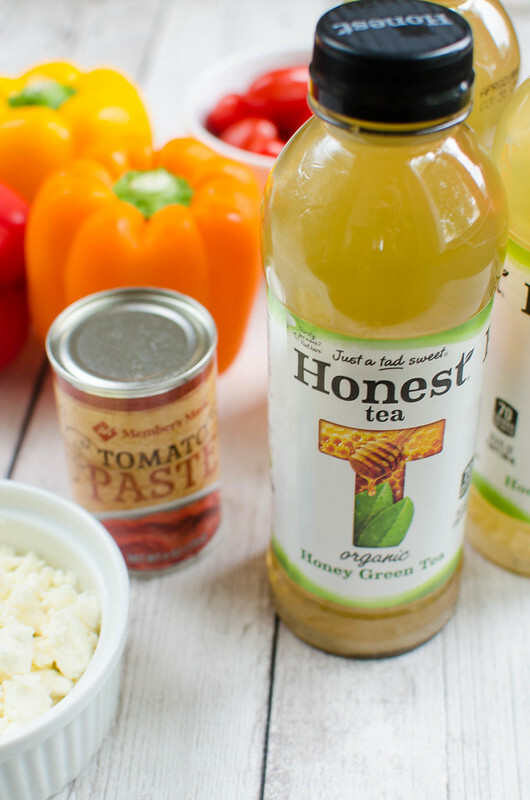 It used to just be sweet black tea but over the years I’ve switched to green tea and I am absolutely in love with this Honest® Tea Honey Green Tea that I picked up at Sam’s Club recently. It’s sweet but not overly sweet and it’s definitely the perfect beach or pool drink because it’s super refreshing. But seriously, this Honey Green Tea is everything. 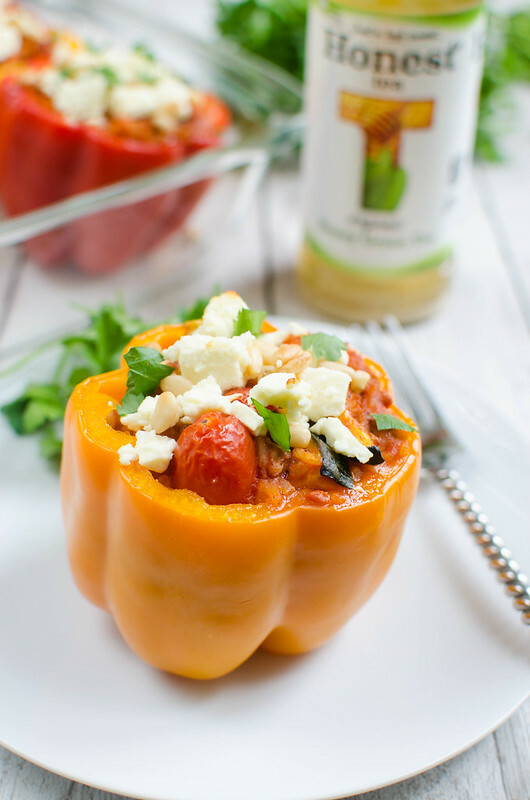 One of my favorite things to make in the summer is stuffed peppers. Is there anything moresummery than stuffing fresh produce into more fresh produce? There’s also some protein andsome rice in there but give me all the fresh veggies! 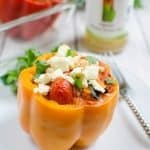 So I picked up all the ingredients for these Greek Stuffed Peppers at Sam’s Club when I wasbuying my Honest® Tea. I used Member’s Mark Ground Turkey and sauteed it with all the usual suspects, onion andgarlic, but I also added some zucchini and fresh grape tomatoes because I wanted these to befull of freshness and flavor. Then, of course, it has rice because what’s a stuffed pepper without rice? 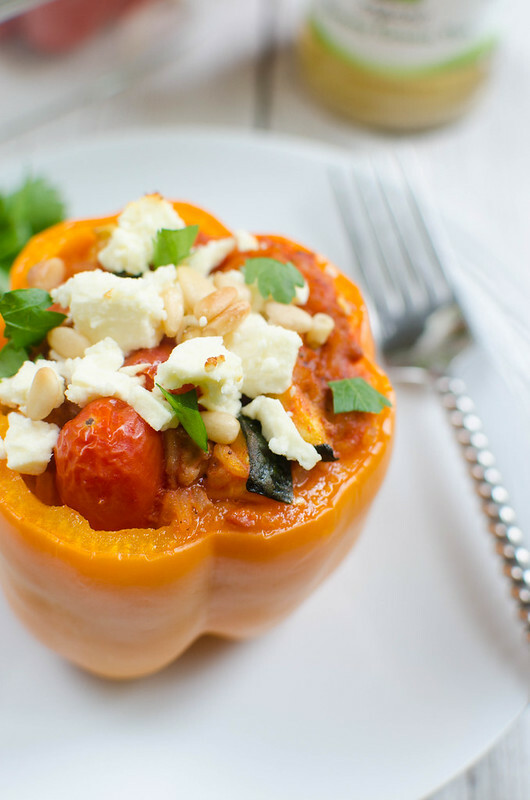 And then when the peppers were almost tender, I sprinkled each one with a little feta cheese and some pine nuts. The pine nuts got toasty and delicious and were the perfect crunch to go with the stuffing! Sam’s Club and Coca-Cola currently have their 100 Ways toSummer Sweepstakes going on so make sure you check that out for a chance to win! Preheat oven to 400F. Place peppers on a rimmed baking sheet. Set aside. 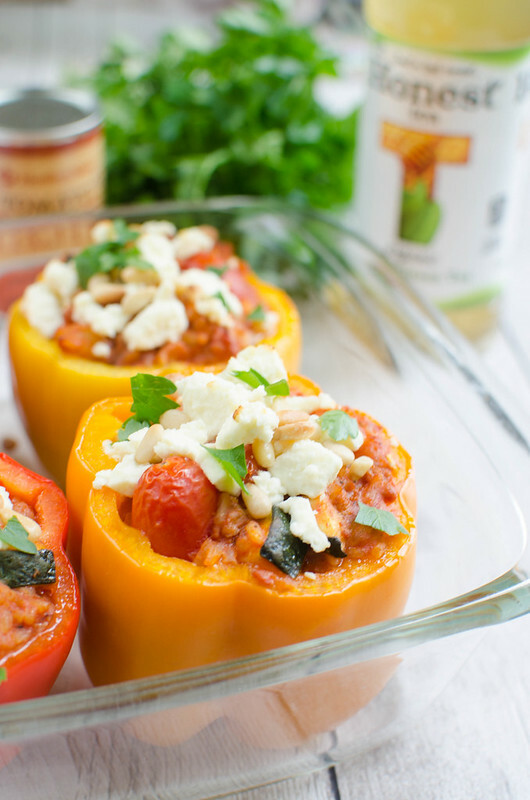 sprinkle with feta and pine nuts; bake another 10 - 15 minutes, until peppers have softened.